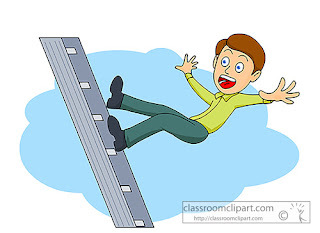 A new study from the Centers for Disease Control and Prevention found that falls remain a leading cause of death and nearly half of those deadly falls have been from ladders. Working outdoors in hot weather can result in serious illness or even death. Workers exposed to extreme heat may experience symptoms of heat-related illnesses such as heat cramps, heat rash, heat exhaustion, fainting, heat stroke and other symptoms. This training video will teach your workers about the danger signs of heat stress and how to treat person that has a heat related illness. Tree Trimming Safety Training Can Save Your Life! workers to establish safe habits, emphasizing the importance of safety and not taking risks or shortcuts. This training class will improve their knowledge of workplace hazards to help them perform their work more efficiently and safely. · All courses are taught on-site at your location. We are available to help you with all your safety training needs! The Unified Commission of Safety and Environmental Services (UCSES) was formed in October 2012 by a group of safety professionals who felt the need for change in the occupational safety industry. We found that many safety classes were priced higher than necessary, forcing some companies to go without necessary safety training or paying annual dues in order to obtain preferred pricing. The outcome of this scenario results in more workplace injuries, causing loss of productivity and employee morale. We also observed the need for instructors to have more subject matter knowledge coupled with hands on experience in the topics they teach. At UCSES, we require our instructors to not only have the ability to keep classes interactive but also the talent to make the classes entertaining. A boring class is an ineffective class. Our goal is to make sure the attendees not only learn, but retain the information. You can agree, a class is only as good as the material and the instructor. We carefully screen our instructor’s for knowledge, personality and professionalism. Many of our OSHA Qualified Instructors are retired or currently employed by a Florida city or County entity as a safety training professional, or in some cases, department manager. Our instructors include firefighters and even a Hazardous Materials Technician. We also work with safety professionals associated with local or national enterprise companies. Below is partial list of safety training classes we offer. Safety is an investment, not an expense!